National, March 28, 2018: In a constant endeavour to strengthen Hon’ble Prime Minister’s Swachh Bharat Mission, RB in collaboration with Jagran Pehel today launched the wet and dry waste management program in association with Noida Authorities. 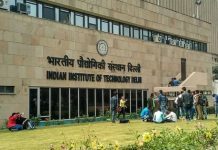 As a part of the nationwide hygiene and sanitation campaign, 100 laboratory tested with ISI trademark stainless steel dustbins are being installed at public places in Noida. The program was unveiled by Hon’ble MLA of Noida, Mr Pankaj Singh and was represented by senior dignitaries from Noida District Administration, RB and Jagran Pehel. The program has been developed by RB and Jagran Pehel, keeping in mind government’s vision to achieve 100% sanitation by 2022 to boost cleanliness and end open defecation in the country. Noida alone generates about 600 metric tonnes of solid waste everyday which is being dumped in landfill sites around the city. The campaign would support in achieving enhanced segregation of wet and dry waste and generate awareness amongst citizens of Noida about health hygiene and sanitation. Speaking on the launch, Mr. Ravi Bhatnagar, Head External Affairs and Partnerships said, “We have a long-standing association with the UP Government and are aligned with them for implementation of waste management. Our commitment is to work closely with the district administration in achieving the highest standards of cleanliness in Noida. Our newly launched waste segregation campaign is aimed at addressing the acute absence of sanitation in various pockets of Noida that lack access to water and sewage infrastructure. We are confident that our efforts will prove fruitful in keeping the city cleaner. In the long run, we are planning to install smart dustbins which is imperative for waste segregation in smart cities”. RB has also launched a Hygiene curriculum across 70 public schools in Noida. The program has garnered positive impact already with overall increase in awareness about handwashing, students following sanitation practice, knowledge about prevention of diarrhea, necessity to treat water before drinking and maintaining clean toilets in schools. 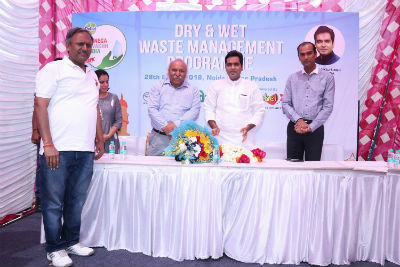 The wet and dry waste segregation program is another step for Dettol Banega Swachh India Campaign to drive cleanliness and behavioural change amongst people. It has set an example of a cohesive and value based response to the national agenda of Swachh Bharat Mission’ and has been well received by the Hon’ble Prime Minister Narendra Modi and other Government representatives.